PICKY PEACHES ON THE ROAD #6: Can’t Go To 5th Avenue? Then Try 30Avenue! A visit to the beach is cheaper than therapy and, sometimes, almost as effective. We have it on good authority that it’s even more effective when combined with a little retail therapy. We found the perfect place to do just that on Florida’s Emerald Coast. The Shops of 30Avenue is the next stop in Peaches on the Road. 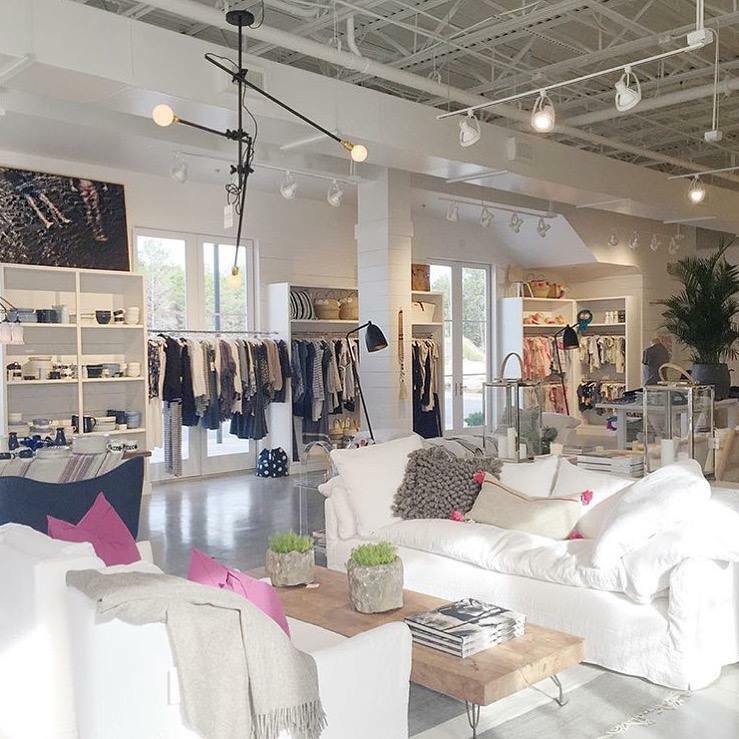 Too pretty to be called a shopping center, this new collection of boutiques, restaurants and offices is a serene oasis, on a busy stretch of Highway 98 and serves as a Gateway to 30A. At first glance, it looks pretty swanky, with its vanishing-edge fountains and well-manicured lawn. While it does have some very high-end shops, there’s truly something for everyone. Leave the kids at the condo (with a responsible adult, of course) and head to this lovely spot for a couple of hours with your friends. For maximum pleasure, leave your hubby elsewhere as well, because we all know that shopping with him can be like hunting with the game warden. Mingle for home furnishings, decor and beautiful gifts. 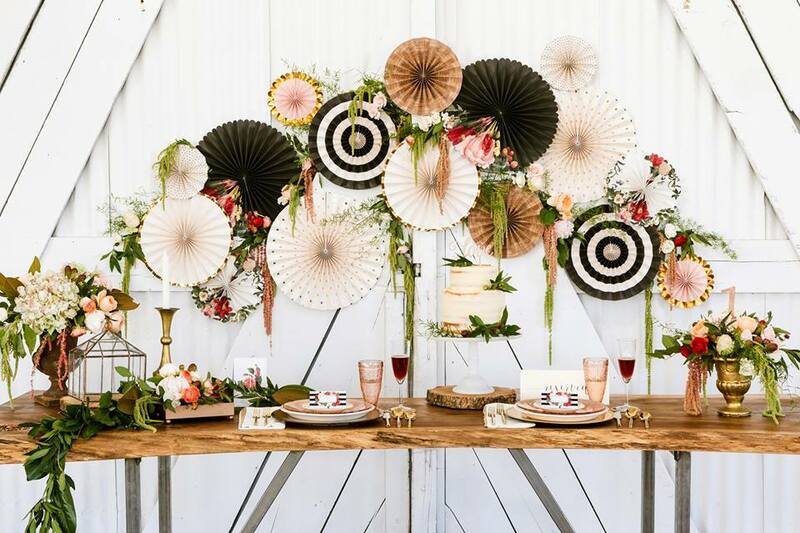 This well-curated selection is focused on making the gift recipient feel special and making any event feel like a special treat. Choose from scented candles, handcrafted jewelry, unusual gift wrap, trendy tableware, whimsical signs and so many more pretty things. The wares are so lovely that it’s seriously doubtful that anyone could leave without buying something. It’s like a big girls’ toy store. Next, pop in to Outpost for a beach-centric, globally-sourced mix of upscale home furnishings, lighting, clothing, accessories and apothecary with a focus on handmade and exclusive goods. The proprietors understand that admiring this exquisite selection can work up a thirst, so they’ve put a wine + coffee bar in the front corner of the boutique. Depending on the time of day, or your mood, they serve a nice selection of wine by the glass to enjoy at one of the patio tables. If you need a pick-me-up, try one of the outstanding coffees. The cappuccino is served in the European (dry) style, which means that it isn’t mostly warm milk with a tiny taste of espresso. It’s bold, with a layer of milky foam. Molto bene! Splurge and have a dark chocolate macaron, with a gold-leaf embellishment. This is adult chocolate at its finest. After your well-deserved break, check out Shades Sunglasses & Casual Apparel to add a few items to your beach wardrobe. Whether you’re looking for new sunglasses, shorts, tees, or footwear, they’ve got it covered. This isn’t the typical beach t-shirt shop. It’s the good stuff. 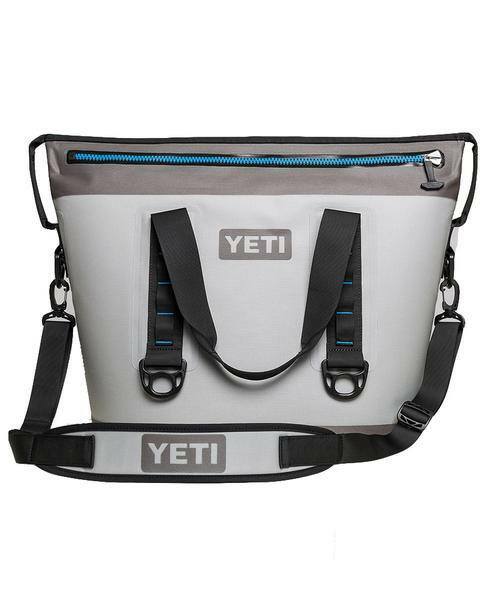 Brands include Yeti, Maui Jim, Tori Burch, Vineyard Vines, Southern Tide, Prada, Ray-Ban, Sanuk, and many more. If all this shopping makes you hungry, there are several places to eat on the property. For a delicious meal, the choices run the gamut. Freshii specializes in fresh, healthy, casual options. Roselie Dining & Seafood Bar focuses on locally-sourced seafood and farm-to-table plates. 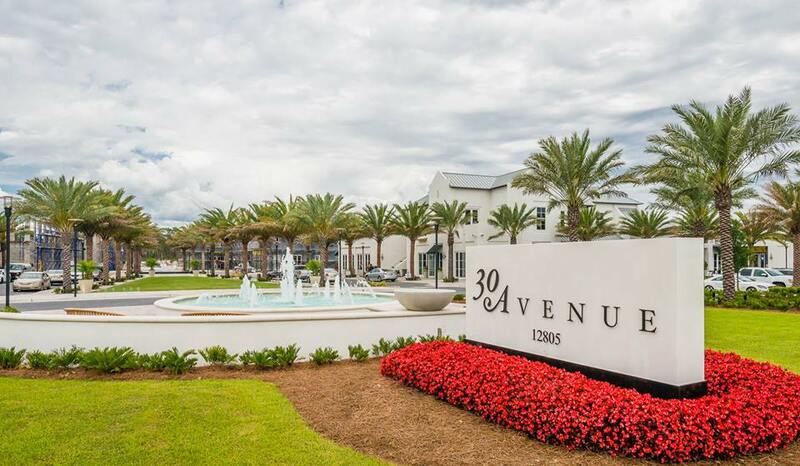 Cuvée 30A brings the best of celebrity-chef Tim Creehan’s popular Destin eatery to 30Avenue. 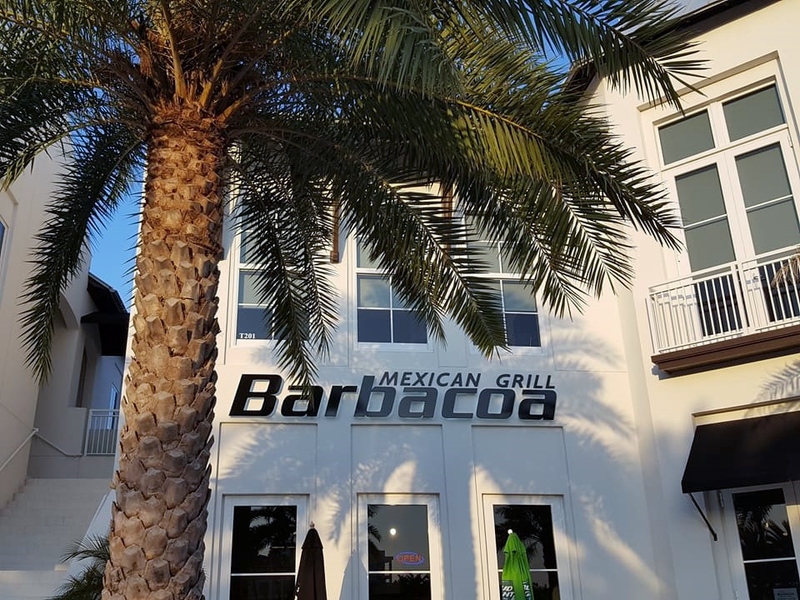 We don’t have room to list all the restaurants, but we’d be remiss if we didn’t mention Barbacoa Mexican Grill. In case you missed it, we reviewed Babarcoa in our post last week (June 3). http://pickypeaches.com/picky-peaches-on-the-road-5-chill-at-the-grill-barbacoa-mexican-grill/ It’s a nice place to relax after a rigorous day of shopping. There are parking spaces in front, but if those are full, there are a lot more spaces around the side of the buildings. Looking for something fun to do on Thursday nights? 30Avenue will host an array of musical talent through August. 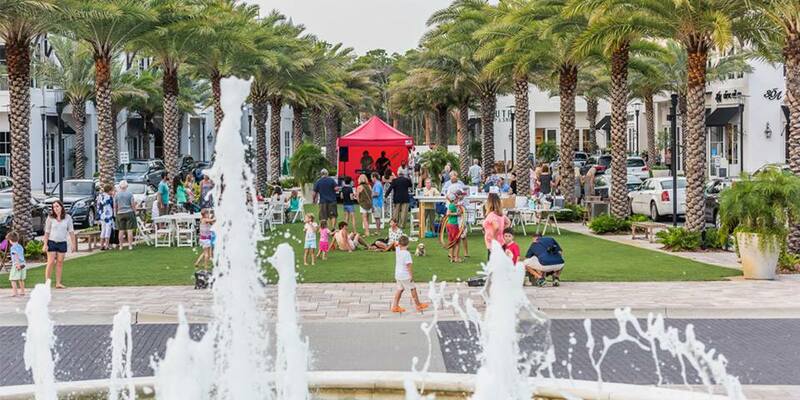 There are games and live music on the green from 6 p.m. until 9 p.m. Free and open to the public. 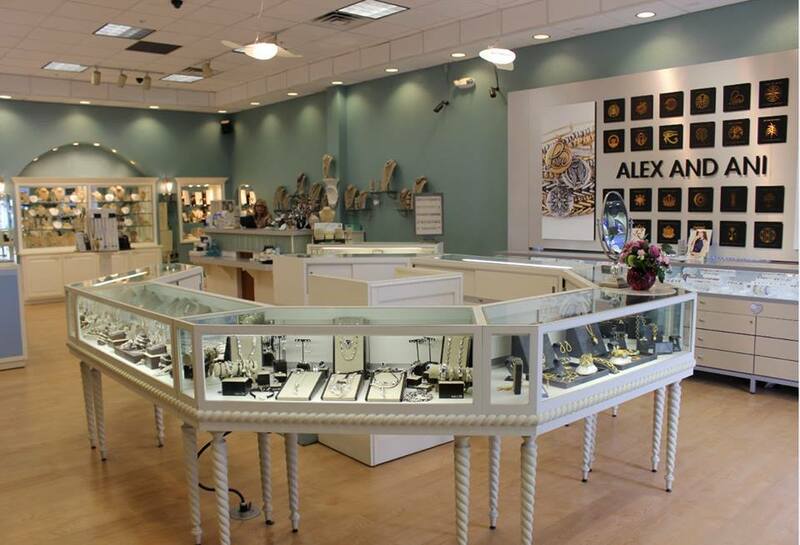 Shops of 30Avenue, 12805 Highway 98 East, Inlet Beach, FL 32413. Store Hours: Monday – Wednesday 10 a.m.- 5 p.m.; Thursday – Saturday 10 a.m. – 7 p.m.; Sunday 12 p.m. – 5:00 p.m. Restaurant hours may vary. Join us next week for a satisfying little place to eat at the 9th stop in the Hidden Gem Restaurant Challenge.